Busy Bees at Baldivis features beautifully designed open plan rooms, plenty of natural light and a spacious outdoor setting that includes a timber swing set, sandpit and beautifully planted areas where children are encouraged to ignite their curiosities and sense of discovery. Louise Robinson is the appointed Service Manager and brings with her 16 years of commitment and experience in early learning. Tess is supported by a team of 13 educators with the Service offering 120 spaces for children. Conveniently located in the brand new Baldivis Grove estate, nestled on the Corner of Eighty Road and Amberley Drive, you will find us at 2 Hillier Street (a little hidden gem if you’re using Google Maps). Our Service was developed to ensure that children are being provided with exciting opportunities and challenges for them to play and grow in an innovative and stimulating environment where their individuality can be nurtured by dedicated educators. Busy Bees at Baldivis encompasses an innovative approach which is based on the discovery and exploration of respectful relationships with children. We follow this philosophy and offer children uninterrupted time for play, plenty of freedom, a calm and relaxed environment, cooperative relationships, and our full attention. We’ve developed the Busy Bees learning program with the help of childcare specialists, curriculum experts and Early Years Advisors at our Centre Support Office. It’s jam-packed with unique and stimulating activities you won’t find anywhere else! We would love to have you join our Busy Bees family at Baldivis. 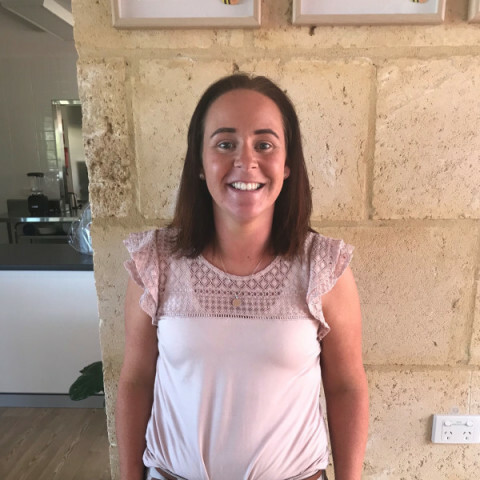 Hello my name is Louise Robinson, I am the Service Manager at Busy Bee’s Baldivis. I have lead the Centre since we opened in December 2018. I am extremely passionate about young children’s care and education. I have a Diploma in Children’s Services and currently studying my Bachelor of Education. I have been in the child care sector for over 16 years. I am originally from the UK where I owned two day-care centres for many years before moving to Australia in 2012 with my family. Since moving to Australia I have worked as a Service Manager and I look forward to meeting you and your family, come down and meet the team of experienced passionate educators.